To serve the people of Florida by providing leadership for superior life safety strategies through inspection, investigation, public education, and code management. Registration is now open for the 2019 Joint conference of the Florida Association of Fire and Life Safety Educators and the Florida Fire and Explosion Investigators Association. To apply for a first time attendee scholarship click here. If you know someone who you would like to nominate for the2019 Fire and Life Safety Educator of the Year nominate them now. For the nomination form and details click here. Nominations are due no later than May 1st. The Florida Fire Marshals and Inspectors Association is a 501(c)(3) non-profit association. The business of the association is managed by the Executive Director as directed by the Board of Directors, consisting of a President, First Vice President, Second Vice President, Secretary-Treasurer, an Immediate Past President, Six (6) Regional Directors, One (1) Statewide Director and the Section Chairs. The Department of Financial Services, Division of State Fire Marshal, announces that it is seeking written comments and proposals for Florida specific amendments to the editions of NFPA 1 (2018 edition) and NFPA 101 (2018 edition). The comment period ends July 1, 2019 at 5:00 pm. Please click here for more details and the submission form. If you know someone who you would like to nominate for the 2019 Fire Investigator of the Year nominate them now. 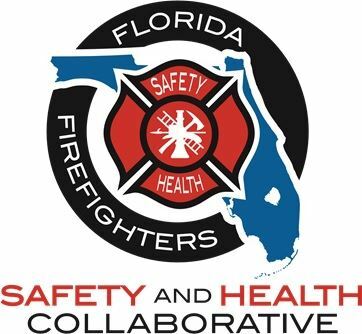 The Florida Fire Marshals and Inspectors Association is proud to partner with the Florida Firefighters Safety and Health Collaborative as we collectively bring awareness to the health and life threatening hazards of our first responders. This collaborative is a growing network of fire service professionals and research specialists working toward a common goal of saving the lives of our firefighters through best practices and changing the culture of our activities post response. Please visit the Safety and Health website at https://www.floridafirefightersafety.org/ for more information. 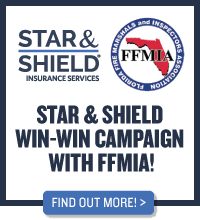 FFMIA works very closely with all allied fire and emergency services agencies, association’s and regulated industries as well as private sector interests in an effort to advocate for a safer living, working and respite environment for our over 20 million residents and nearly 100 million annual visitors. These positions have been thoroughly reviewed by a committee of fire prevention professionals and approved by the FFMIA Board of Directors on November 4, 2018. Updates will be provided as necessary. On Line Crowd Manager Training. Crowd manager training is required by all national fire code standards in public assemblies such as nightclubs, auditoriums, ballrooms and arenas.